One of my favorite things to do while crating is to upcycle. 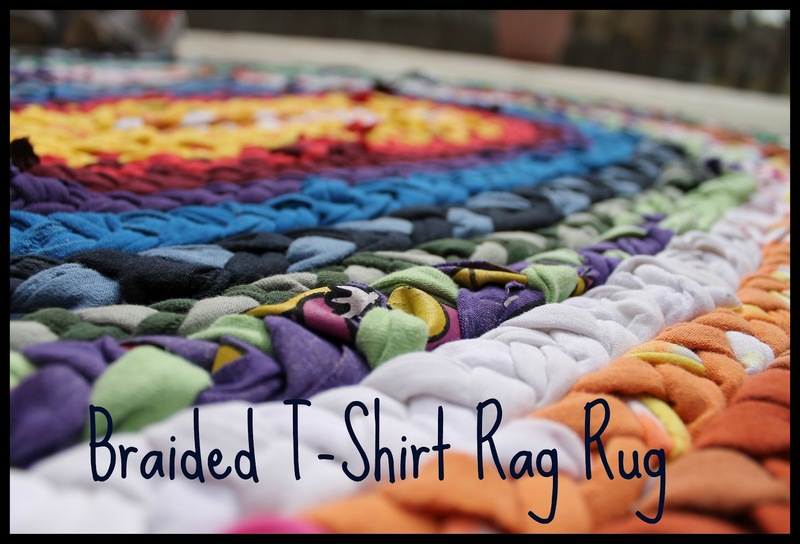 Therefore, this craft, Braided T-Shirt Rag Rug, is a personal favorite. It is super easy–and who doesn’t have extra t-shirt laying around? And plus, making it fit into my Lenten goals. Among other things, I decided to give up buying craft supplies this lent. I also gave up thrift shopping (it has been hard!). Although I have not been perfect in my resolutions, I have been pleased to see the true creativity inside of me when forced to use stuff just lying around the house for my projects. That is why I wasn’t unhappy when one of my husband’s former roommates brought over a couple of tubs filled with my husband’s old clothes, most of which were t-shirts. After my husband decided he didn’t want any of it, I moved the tubs directly down to my craft room and got started on this project. As a child I remember my grandmother’s house filled with beautiful braided rugs. I like this style of rug because of how the colors weave in and out of each other. Since I was making my rug out of t-shirts, mine wasn’t going to be as “vintage” feeling as hers, but that is fine since mine is destined for a child’s playroom. Making a braided rag rug is very simple, but pretty time consuming. Also, at the end of it you will likely have some nice looking calluses on your fingers. Before we get into the roundup I just wanted to tell you about a book my kids and I have been working our way through around here–and using lots of otherwise-would-be-trash items along the way:Craft-a-Day: 365 Simple Handmade Projects . 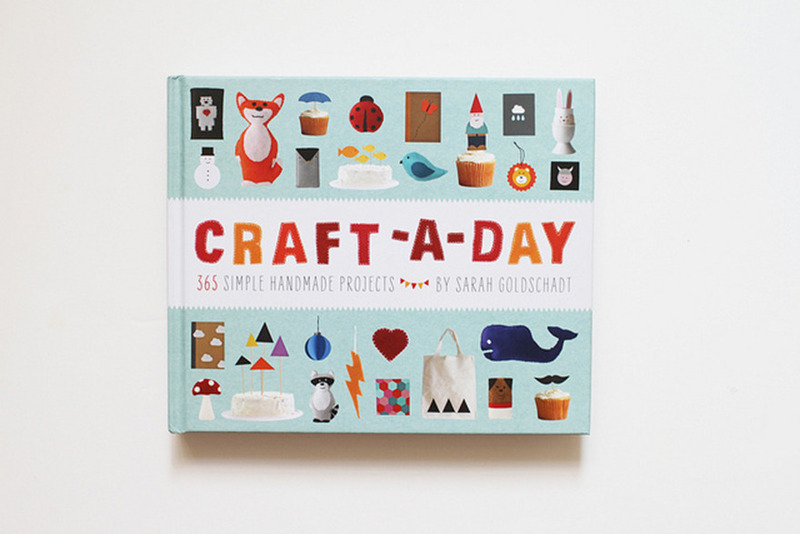 Check it out if you have lots of little crafters at home, like I do. We are having so much fun with this! Step 2: Start braiding…and keep braiding! Since this is a rag rug I simply tied on a new strip when one got to the end, making sure to vary where the knots were so there wasn’t a huge bump in the completed rug. Step 3: When you have quite a length of braided t-shirt, start stitching it together. Working from the back and do a simple whip stitch between the two pieces of braid. I chose to do an oval shape by folding over the first section of braided t-shirt and stitching it together, and then wrapping around and stitching after that. Step 4: And…keep stitching and stitching! Make sure to work on a flat surface to ensure that the rug lays flat. When you reach the end simply sew down the end of the braid. Who knew that my husband’s ratty old t-shirts could look so nice! This is going to be a wonder addition to our playroom. Thanks for stopping by. 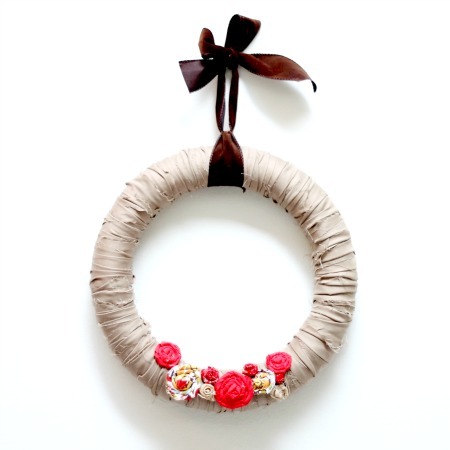 If you are as crazy about up-cycling as I am, check out these other projects where old became new! Making a beautiful mat really a good use of waste t-shirts which increases it value even then also when it is not being worn by anyone. The masterpiece have been shown above is looking awesome with multi shades. Do cut your loops to make one long strip or leave them intact? Braiding makes things complicated. It is nearly impossible to braid super long strips. Cut loops in the end of each piece as you go and add on that way. My round rug is not laying flat. Any suggestions why? Thank you. it! Your writing taste has been surprised me. Thank you, very nice post. Sorry I was late in replying. Happy creating! I just wanted to pop in to let you know that I featured your rug tutorial on Creative Green Living today! Great! Thanks so much for the feature! Hi! When you braid, do you braid two strips of T-shirt fabric together, or 3? Pretty rug! Great question–you braid three strips at a time. Hope you give it a try!! I was wondering if anyone knows of a safe way to sharpen the razor wheels? Lost my job due to open heart surgery and I am trying to make some money to stay afloat. If anyone has any suggestions please reply. First of all: Thank you for being boldly and proudly Catholic. Though I’m not (Catholic), I have become an avid Relevant Radio listener, so have learned a lot about the faith. I now understand the “Jesus we trust in You” response, and felt at home finding that prayer in your first com box. It’s part of the daily Chaplet of Divine Mercy prayer that I pray along with the radio. But, what led me to you was a search for T-shirt yarn. Can you tell me what it is and how you go about making it? I found a crocheted rag rug at a Church Rummage Sale this summer that I bought not only for its colors, but for the beautiful texture of the crochet. I noticed at the church that the strips were all edge serged. At home, I took a closer look. The strips have been folded prior to serging, effectively making them into tubes. Each tube is 1/4″ wide, so the strip is approx 1/2″ wide prior to folding and serging. There was some “give” to the strips: I was able to pull a small section of one strand out from the rest so that I could examine it more closely. The “give” made me think that the tubes were made from T-shirts, as plain poly/cotton wouldn’t have as much stretch (IMO). What can you tell me about the T-shirt yarn used for the rug you have featured? This is a cute idea! I love bright braided rugs! trying to supply wonderful fashionable t-shirts for a reasonable price. Do you think mixing fabrics is a definite no-no? I have a huge collection of cast offs but not all are cotton jersey like a tshirt. Wow! I need to try this with all the t-shirts I have piled up in my “clothing to repurpose” pile! Good luck! I’d love to see what you come up with when you finish! I probably need to give up buy craft supplies at some point. The rug is perfect for a playroom. I will do that right now! Found you at the My Favorite Things Link up. What a great use for old t-shirts! This rug is very pretty! This turned out great! I knew there was a reason I was hanging on to all those old t-shirts. Can’t wait to try this. We loved having you link up to our Strut Your Stuff Saturday! Hope to see you again next week!! This rag rug is so cute!! Oh my goodness, what a beautiful rug. I have lots of old t-shirts but I don’t know if I have the patience to make one. Thank you for adding this to the Our Favorite Things Link Party. this is gorgeous! I have wanted to make one of these rugs for a while now, yours came out beautifully. I hope you will consider adding a photo of this into my new site – SewSet, and on-line sewing pattern and tutorial search engine so others can find it easily! Wow! What a fun play place for your son. It turned out so well! Hi! Visiting from Happy Hour Projects. Oh wow! This is AWESOME! I want to make one! Thanks for such an awesome idea! This is a great article! I found this site Braided Rugs to be good if you are looking for Braided rugs for your home! Wow, that is beautiful!!! I just bought a rug–it’s square though, kind of like this, because I love the colors!!! What a perfect play rug for Gus! How did you get your husband to give up the tees? haha!! My husband holds onto his til they literally are falling apart!! Nice to “meet” you Nancy, your baby is beautiful!! !